MONAG Apparel is committed to the compliance with all industry and federal certification standards which are applicable to its products. We are further committed to meeting all requirements outlined under the Consumer Product Safety Improvement Act (“CPSIA”). 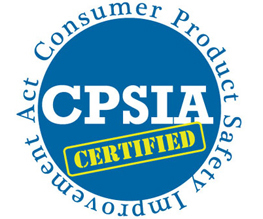 CPSIA requires all manufacturers and importers to certify that the products they sell meet all the applicable safety standards and rules covered by the regulation. In order to be in compliance with CPSIA regulations, MONAG has reviewed all the applicable rules and has a reasonable testing program in place for all its products to ensure compliance with the law. MONAG Apparel has the “General Conformity Certificates” (GCC’s) available for each of the product. If an item is not required to have a GCC no certificate will be provided. 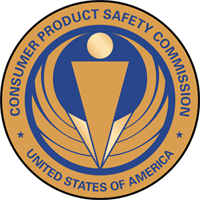 Only certain products fall under the CPSIA’s regulations, that are intended primarily for children twelve years of age and under will have a GCC. For your additional information on certification of the lead content of the ink on any surface coating or phthalate content of any appliqué or decal required by the embellisher can be found on CPSC’s website www.cpsc.gov (childrens apparel product pamplet). Please contact us should you have any questions regarding the safety of our products.